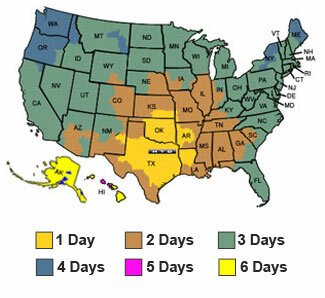 When your setup requires installing your cable behind a wall or ceiling, this is the best cable to use in order to stay within USA building codes. It is made of 99.99% Oxygen-free copper and includes a layer of foil shielding to prevent unwanted interference and hum induced by surrounding electrical wires. 4-conductors are most often used to send an amplified stereo signal to two speakers which are in close proximity to one another or to a stereo volume control. Run this 4-conductor cable (+ and - for Left; + and - for Right) to a pair of speakers by running one cable to the first speaker and then continuing to the second. At the first speaker, you will strip back the outer protective jacket to reveal all four conductors inside. Then, cut and strip two of the conductors for the first speaker (+ and -). The other two cables continue (uncut) to the end of the cable to be stripped and connected to the second speaker. 4-conductor cable is also often used to run from your amplifier to a stereo volume control. Two 2-conductor cables are then used to continue the signal from the volume control to each speaker (one to the left speaker and one to the right speaker). It is also important to know the number of individual strands that are used to produce the overall gauge. Electrons will follow the path of least resistance which tends to be on the surface area of the copper. So the more individual strands used, the greater the available surface area, and thus less signal loss. Typical CL3-rated 14 gauge speaker cable that you'll find at consumer electronics stores is manufactured with a strand count of 16. In contrast, our HTD clear-jacket cable utilizes 63 individual strands of 99.99% oxygen free cable. 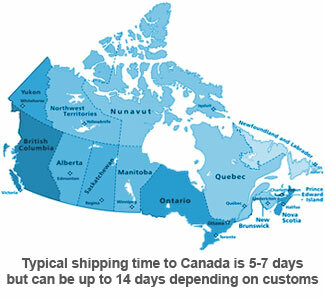 Some popular cable manufacturers also use this high strand count but they will cost you about double our prices simply because they sell through distributors and retailers. And with the recent rise in the price of copper (due to strong worldwide demand), the amount you'll spend wiring your home for sound has become a significant part of your home audio budget. 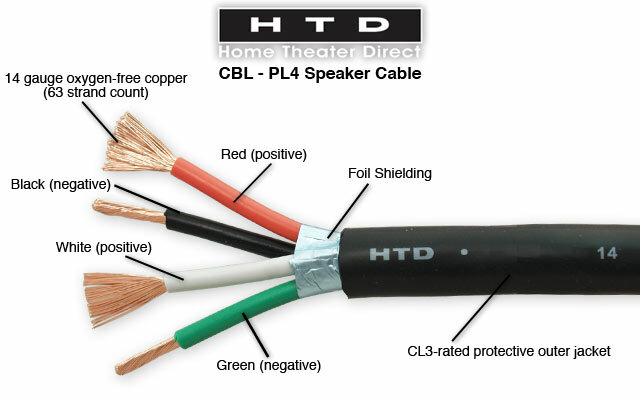 With HTD speaker cable you get the quality you need at a price that won't break your budget.